We must give credit where credit is due: PlayerUnknown's Battleground, also known by the acronym PUBG, was the first video game phenomenon of Battle Royale, before the breakout of Fortnite BR and its many clones. Today the game is less successful, but it still appeals to millions of users around the world. To the great detriment of Mac players (yes they do exist), PUBG has never been ported to this platform. Fortunately there are several methods to really play PUBG on Mac. If you also have a PC in addition to your Mac, you can connect to it remotely to play PUBG. This solution will help you if you are on the move and still want to kill time with an M16 in a Battle Royale. To do this, you can use a remote connection software to access your PC from your Mac. However, make sure you have enough flow for a satisfying experience. 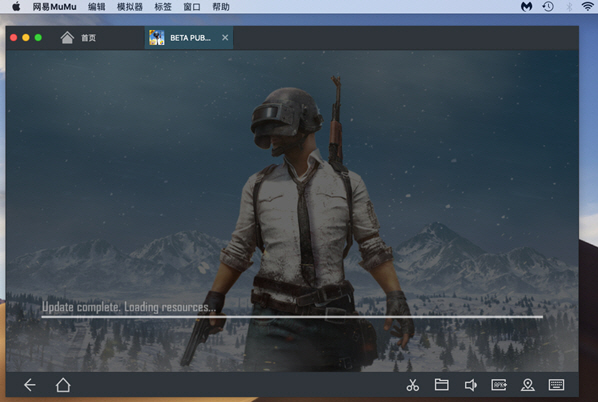 Tip: If you do not have the original version of PUBG on PC you can use the PUBG Mobile PC client created by Tencent. It is an Android emulator fully compatible with shooting games. Boot Camp is the native utility of macOS that allows you to install another operating system on your hard disk in a dedicated partition. This method requires the use of an ISO image from Windows 10. You will also need a Windows activation key to use the OS after its free trial period. The Boot Camp method is not the most stable way to play PC games on your Mac, due to possible compatibility problems with graphics drivers. In the same vein, but with more stability, you can also use a cloud gaming service. Suppliers such as Nvidia (GeForce Now) and Blade (Shadow) offer cloud PCs with monstrous configurations. These services are subject to a charge, but you are guaranteed to enjoy impeccable rendering and better compatibility for your controllers or keyboard. If you don't want to spend money to play PUBG, you still have the trick of the Android emulator. PUBG was ported to mobile with the help of Tencent. The Android version of the game is available in Free to Play, so it is free to download. Certainly the graphics are not as detailed as the console or PC version, but they do the job. 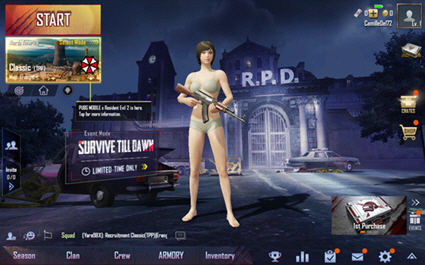 To install PUBG Mobile on your Mac, you need MUMU App Player. Once the emulator is installed, run the PUBG Mobile APK on it. Attention MUMU App Player is in Chinese, but the tool is quite simple to use and you can switch to the English interface by going to the settings. Finally, the last solution we offer you to play PUBG on macOS is the streaming of your PS4. This implies that PUBG is already installed on your Sony console. Remember to activate the remote connection first by going to the Remote Playback Connection Settings on your console. Connect your PS4 controller to your Mac. Then install the official Sony client for macOS and enter your PSN IDs. Again, make sure you have enough flow for a quality experience. 1 Affiliation Link: For each subscription purchased through this link, we receive a commission. Logithèque ensures its revenues through advertising and direct or indirect partnerships, in complete independence. Shadow and Logitheque do not share any common interest and an intermediate platform ensures the follow-up of sales.